According to the National Association of Convenience Stores, or NACS, there are over 150,000 convenience stores in the United States that account for around $550 billion in total sales, with $233 billion in in-store sales, like food and beverage. The numbers speak for themselves. Convenience stores are ideal for guests because of their accessibility, hours, and now; menus. In order to adapt to these growing trends, c-store operators need foodservice equipment designed to cook food quickly, consistently, and fit in smaller, more compact spaces. Let’s take a look at two pieces of equipment that deliver convenience for both operators and their guests. Convenience stores can maintain or increase their speed of service without sacrificing quality with the rapid and accelerated cook speed ovens. With the eikon® series from Merrychef, space limitations are a problem of the past for smaller convenience stores or operations looking to grow their foodservice program in their existing facility. Rapid and accelerated cooking will expand the menu without taking much space. Can you devote 14 inches of counter space to a food service program? Then the Merrychef E2s is just what you need. 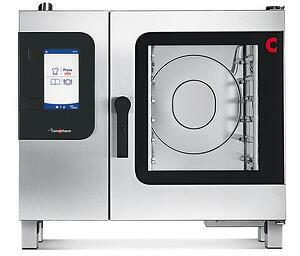 The Merrychef eikon® e2s, combines three unique heating technologies – convection heat, impingement air, and microwave energy – and cooks up to 15 times faster than traditional convection ovens. 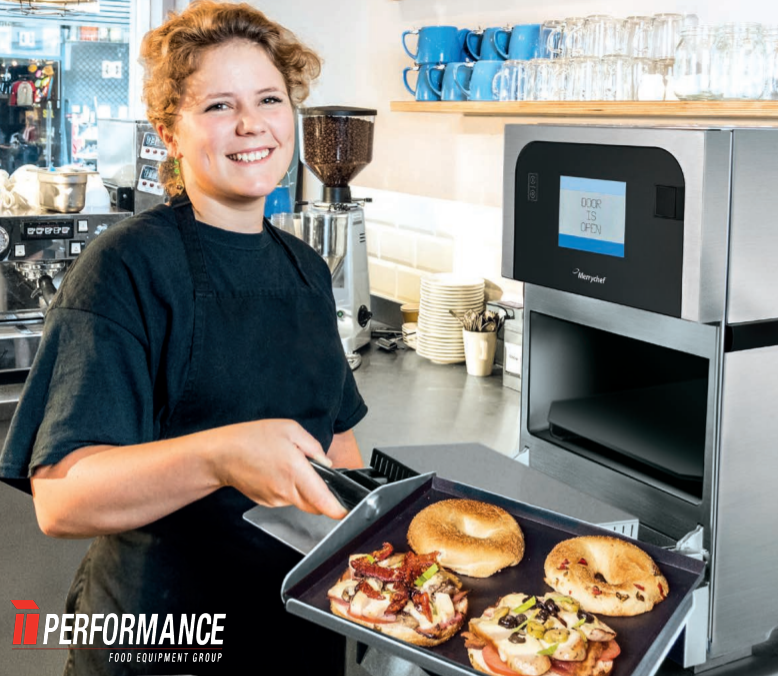 From breakfast sandwiches to late-night snacks, around the clock cooking with consistent results due to the pictorially driven eikon touch screen. Additionally, these ovens do not require a hood system for ventilation. They can be placed nearly anywhere due to the integrated catalyst that cleans the air in the oven cavity. For these reasons, and more, the Merrychef ovens are perfect for c-store operations looking to maximize profitability 24/7. Convenience is Convertherm’s top priority. Convotherm 4’s focus on ease and functionality gives convenience stores flexibility like never before. With eight different sizes, this combi steamer provides c-stores versatility and reliable cooking results in the smallest of spaces. The Convotherm 4 can bake, steam, roast, and more, right on the countertop. What does that mean for c-stores? That means high-quality menus for foodservice programs that don’t require heavy duty, space-eating equipment. And for convenience stores cooking at all hours of the day, the Convotherm 4 has low operating costs that use less water and less energy than other brands of combi ovens. Whether you operate a convenience store in New York, a supermarket in New Jersey, or cafeteria in Connecticut, there is a cooking solution designed for your specific facility. 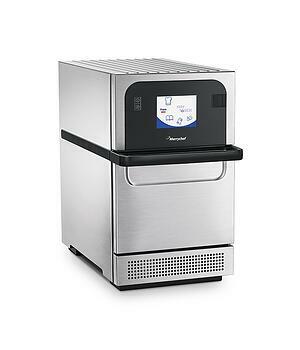 Learn more about the Merrychef eikon® e2s and the Convotherm 4 combi steamer or contact PFEG to see what type of cooking equipment is right for you.